As EMC engineers, we often are asked the question, “what do you do?” In an introductory session to a “Chapter Chatter” column in Issue #164 (Winter – 1995), Todd Hubing had an interesting and entertaining answer to that question. I hope you enjoy his perspective, which is as timely today as it was 14 years ago. Just last week while I was talking to my mom on the telephone, it occurred to me that she doesn’t really understand what I do for a living. She knows that I call myself an EMC engineer, but what is that? An EMC engineer is not like a dentist or a high school teacher. EMC engineers do not advertise in the yellow pages and they don’t appear in movies or on television. How do I convey to my mom the importance of my profession? How do I make her aware of the exciting challenges that EMC engineers face? What I need are some examples of common EMC problems that my family can relate to. After all, EMC is more than meeting specs. EMC engineers make things work in the real world. Unfortunately, coming up with examples of everyday EMC problems that my mom can recognize is not easy. She doesn’t own a computer and doesn’t live near any radio towers. Several days ago, I called to ask if she ever saw “snow” on the TV when she vacuumed. It was difficult to communicate with her because we both could hear another telephone conversation on the line, apparently in Chinese. She thought I was asking about the weather. She told me they hadn’t had any snow for two weeks and that she didn’t watch TV when she vacuumed. So much for that idea. Somehow, somewhere there must be an EMC problem to which my mom can relate. I heard there was going to be a network-news special on EMC so I called my mom and told her to watch it. This seemed like the perfect opportunity to show her what I do for a living. TV news programs can make any topic seem exciting and important. I couldn’t wait to see what they had to say about EMC. Since I was going to be out of town, I arranged to record the show. Unfortunately, a power flicker reset the programming on my VCR, so I missed it. My mother also missed it because the neighbor’s new computer was causing the sound on her TV to fade in and out. Normally, when this happens she drives over to my Aunt Helene’s house to watch TV. But her new car hasn’t been running properly ever since she had the wireless security system installed. Not that it would have made a difference. Just as the program was starting, a low-flying plane triggered her automatic garage door opener, allowing the dog to escape. (She’s had to keep the dog in the garage ever since lightning took out her electronic fence.) Another opportunity missed. I guess I’ll just have to live with the fact that some people never encounter EMC problems and that my mom may never fully appreciate what I do for a living. Oh well, at least I can feel good knowing that I am in a profession that is exciting, challenging and important. 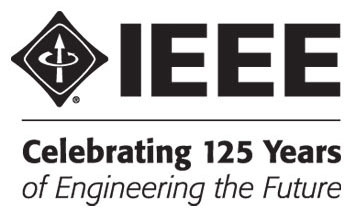 I may not be able to discuss it with my mom, but there are plenty of professional EMC engineers at chapter meetings and symposia that really enjoy talking about EMI, ESD, transients and similar topics. And as a profession, we must be doing a pretty good job. Otherwise, there would be a lot more EMC problems plaguing the typical, everyday user of consumer electronic products – like my mom. The front-page of the Newsletter was titled “Items of Special Interest.” The first item of special interest was the announcement of the Fifth Conference on Radio Interference Reduction and Electronic Compatibility to be held in October of 1959. It was sponsored by the U. S. Army Signal Research and Development Laboratory and presented by the Armour Research Foundation of the Illinois Institute of Technology. The second item of special interest was a panel discussion to be held in June in New York City; the topics of the panel discussion included “Prediction Techniques” and “Measurement Techniques.” The third item of special interest was that the Wright-Patterson Air Development Center was asking for comments and suggestions on revising MIL-I-26600 – Interference Control Requirements – Aeronautical Equipment; comments were due 1 June 1959. The fourth item of special interest was an announcement that the Society of the Plastics Industry had formed a Radio Frequency Interference Committee to cooperate with the Federal Communications Commission on interference problems arising from the use of high-frequency heaters. The problem was serious enough to have the Federal Aviation Agency forbid aircraft to use the space over a certain quadrant of metropolitan New York because of the dangers involved. The two stories on the front page were (1) IEEE Division 4 Magnetism Delegation to Peoples Republic of China and (2) EMC Zurich. The first story was about arranging a technical visit to China about work in the area of magnetic. Interested participants were to contact Fred E. Luborsky of General Electric Company. The second story was about the Sixth Symposium and Technical Exhibition on Electromagnetic Compatibility to be held in Zurich, Switzerland from March 5–7, 1985. Inquiries were to be directed to Dr. Thomas Dvorak of ETH Zentrum. Internal articles included news from the Education Committee chaired by Henry Ott of AT&T Bell Laboratories; a report on the First Board of Directors Meeting in 1984; and a Point and Counterpoint session with Anthony G. Zimbalatti. The Personality Profile by William G. Duff was on Melvin Johnson; a native of Grand Rapids, Minnesota who was employed by Southwest Research Institute.